I spent much of the weekend completing these Textured Socks, featured in the Patons Socks in the City pattern booklet, which was gifted to me for Christmas by my sister, who liked a lot of the sock designs within. 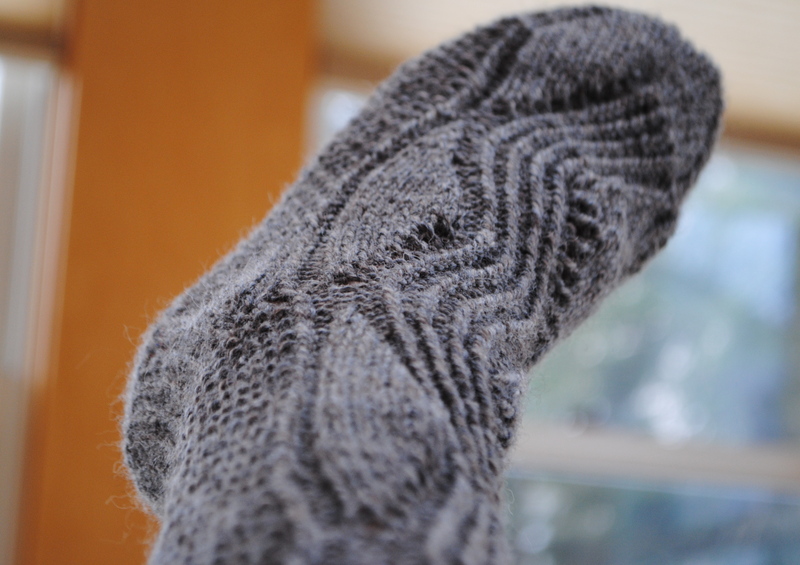 These Textured Sock have some really interesting detail work, yet the pattern repeat is pretty easy to memorize. For those of you who don’t like working charts, there are written instructions for every pattern stitch, too. But, I’m a chart gal, so there were pages and pages I was able to skip over. 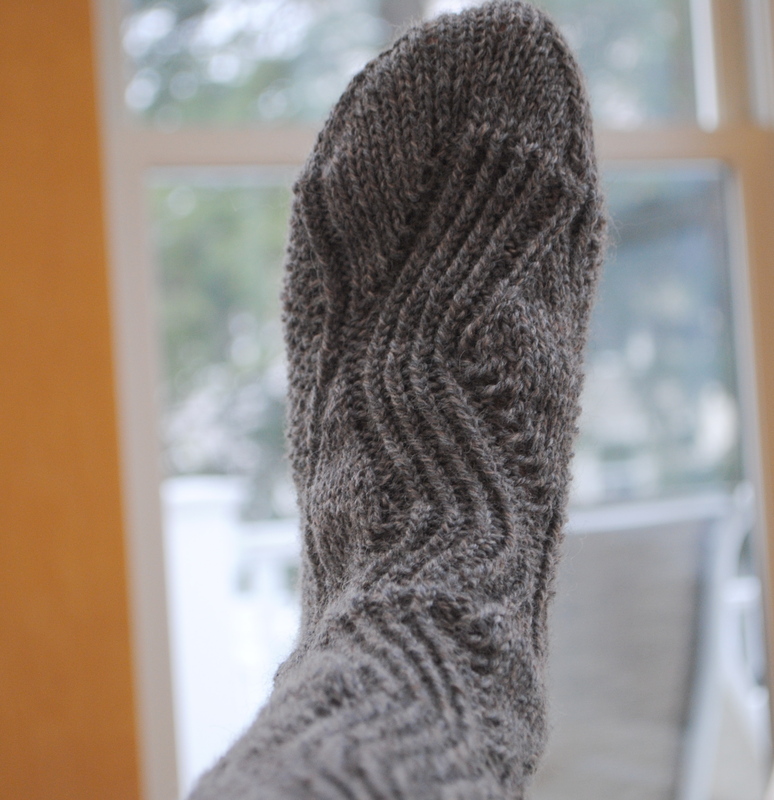 I like that these socks have quite a bit going on without looking overworked; the top detailing is this gorgeous wave-like embossed pattern with little eyelets, but the bottom and back of the socks are entirely seed stitch, which actually feels really incredible underfoot. What’s more, they are unisex in design; I could see myself wearing these (if they actually fit— too big! boo!) but can just as easily see myself gifting them out to anyone–man, woman, whatevers. These will ultimately become a gift thanks to their over-roominess. Of course, more snaps of the Textured Socks at its Flickr set; and you can follow my progress at its Ravelry page, too. File Under: Just the toe shaping on sock two to go! Color me…textured.